Kuakata is popularly known as Sagor Konnya (Daughter of Sea) is a rare picturesque tourist place located at the southern tip of Bangladesh. Kuakata is located in Latachapali union of Mahipur thana of Kalapara upazila of Patuakhali district. It is about 320 kilometers (200 mi) south of Dhaka, the capital, and about 70 kilometers (43 mi) from the district headquarters. Kuakata has an extensive sandy beach (18 km long and 2 km wide) from where one can get a full view of both the sunrise and the sunset. Kuakata is also a sanctuary for migratory birds that generally appear in winter. The history behind Arakan’s arrival in the country is behind the Kuakata name. The name Kuakata originated from the Bengali word “Kua” (well) which was dug on the shore by the early Rakhain settlers. In the 18th century, the Arakans Burma migrated to this region after being expelled by the Mughal rulers. Since then the name of this place is called Kuakata! kuakata of bangladesh is also a holy land for the Hindus and Buddhists. Each year thousands of devotees come here to attend the festivals Rash Purnima and Maghi Purnima. On these two days, they take holy bath and enjoy going to the traditional fairs. On the eastern end of the beach is Gangamati Reserved Forest, an evergreen mangrove forest. When the Rakhains settled in the area in 1784, Kuakata was part of the larger Sundarbans. However, the Sundarbans is now at a distance of one-hour by speedboat. As a mangrove forest, Gangamati, like the Sundarbans, offers some protection against tidal surges. Nearly 8km east of Kuakata Zero Point there lies an attractive island Lal Kakrar Dwip (Red Crab Island), locally known as Kauar Char. From a distance, the chars look a blazing red under the sun because they are covered with thousands of red crabs. When undisturbed, one can observe the crabs moving around, going into the water, digging a nest in the beach. However, with the slightest movement on the outside, they will disappear into the sand in a blink. Jhaubon is a very beautiful place at Kuakata. Jhau bon is close to the sea beach. Jhau forest is created by Government initiative. Tourist or traveler can visit there by walking. There is a nice Eco park at Jhaubon area of Kuakata. This Ecopark will be the excellent place for a picnic or junket. Gangamati Reserved Forest is located to the east of Jhau forest. Lebur chor is located at five (5) kilometer east of Kuakata sea beach. Lebur (Lemon) chor is locally also known as Lembur chor or ‘Nembur chor’. Surrounded area of this chor is about 1000 acres. There are many types of trees and plants in this chor like Keura, Geowa, Goran, Koroi, Golpata etc. Lebur chor is the part of Sundarban but now it is detached from Sundarban. About seven kilometers away from Kuakata beach, you will see the Mishripara Buddhist Temple. The Buddhist statue, placed inside the monastery, is about 36 feet in length. It is the largest statue of the Buddha statues of the country while sitting in meditation. Alipore is one of the largest fishery business centers in the southern region, about four kilometers north of Kuakata. Many kinds of sea fish are available here. To visit Kuakata, you have to travel to Barisal first by road, water, or air, and then you start by bus from Barisal to kuakata. 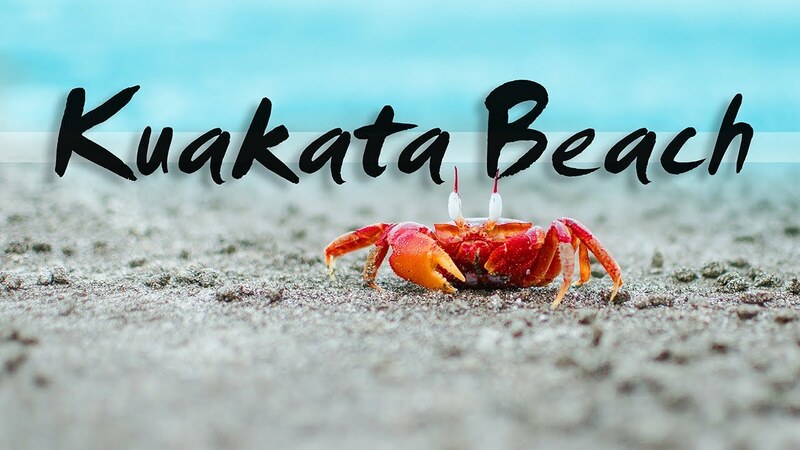 A number of hotel in kuakata are built nearby Kuakata sea beach to facilitate tourists. Various kinds of foods and drinks are available there at a moderate cost. Nowadays, local people are more supportive of the tourists and communications have improved notably. A new police station was built in 2007. Accordingly, the law and order situation on the open beach, even at night, has improved significantly. Hope soon you will visit this land of beauty. You are cordially welcome to Kuakata..